Convex Mirrors are for safety to eliminate blind spots in traffic areas or parking lots to minimize the risk of accidents. They prevent collisions at corners, intersections and aisles. These road safety devices are manufactured using high quality polycarbonate to make it more stronger than normal glass. They are used indoor or outdoor. 2-way wide angle 130° view for receiving areas and blind corners. They are lightweight and easy to install. We are the prominent manufacturer, supplier, trader, distributor and exporter of Polycarbonate Mirror. Our product is well known for its convenience to use, high strength, lightweight and high durability. This Road Safety Mirror allows the workers to handle hazardous tasks at the workplace with adequate safety. We have over two decades of vast industrial knowledge and experience in producing superior quality Indoor Convex Mirror. 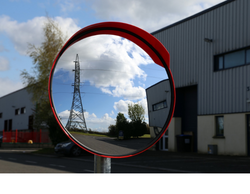 With more than two decades of experience in the field of Industrial Safety Products, we have emerged as a respectable leader for the supply of Blind Turn Convex Mirror. 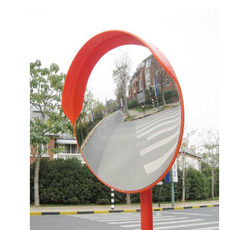 We are long-time established manufacturer, distributor, importer and exporter of Traffic Safety Mirror. 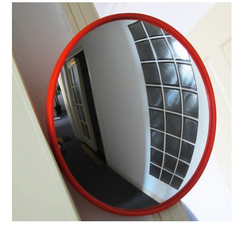 Looking for Convex Mirror ?